Caption: This is an image of a region of the hippocampus called the dentate gyrus. 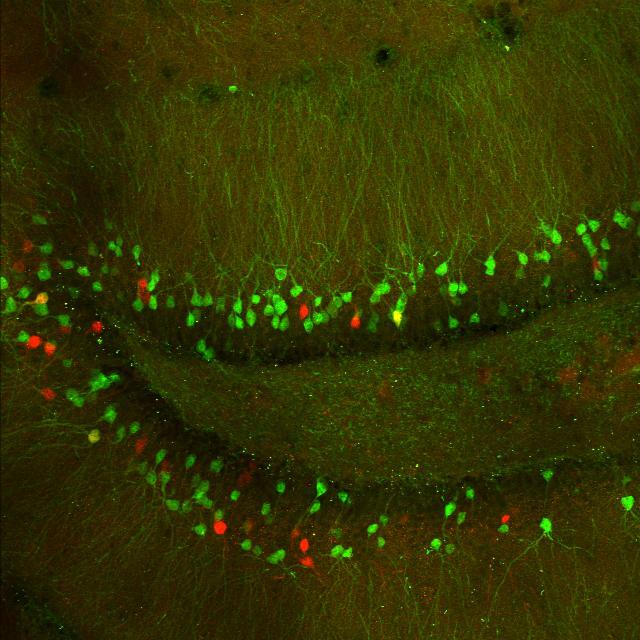 The green cells are neurons encoding the fear memory, the red cells are neurons expressing the Arc protein during memory retrieval. Yellow are memory cells activated during encoding and retrieval. The New Jersey native perfected her method while earning her Ph.D. in biological sciences at Columbia in the laboratory of Rene Hen. To date, she has created and labeled a specific memory in mice and then evaluated how the neural representation of the memory changes as the animals grow older or encounter stress. Now, with funding to start her own lab, Denny plans to investigate what happens to memory-bearing neurons over the course of a lifetime, in normal and aged mice, and in a mouse model of Alzheimer’s disease. By combining her labeling technology with optogenetics—which uses light to activate or inhibit neural circuits in the brain—her goal is to identify new avenues for developing therapies that might halt, or even reverse, the process of Alzheimer’s disease-related memory loss. Taking advantage of some fancy mouse genetics, she’ll begin by exploring which hippocampal subregions are altered in Alzheimer’s disease mice, and then whether she can use optogenetics to improve the neuronal activity in these subregions. She’s already discovered that she can use light to turn off the neurons that constitute a fear memory. When the memory was deactivated, the mouse became less fearful, as if it had forgotten the experience. That’s a pretty ambitious agenda. But it’s exactly what NIH wants when we fund high-risk, high-reward research. We expect these awardees to be daring and ultra-creative with their ideas and experiments. So, how did Denny get onto the biology fast track? Well, she says she’s always been very curious about the world around her—an attitude that led her to jump at the chance to skip eighth grade and take high school science and math classes. But her real inspiration to pursue neuroscience came a bit later. Upon arriving at Boston College as a freshman, Denny needed a job. While walking through the biology department, she noticed an ad for an undergraduate research assistant in Thomas Seyfried’s neuroscience lab. Denny was hired and, although she’d always thought she’d become a physician, once she stepped into the research lab, she was hooked. 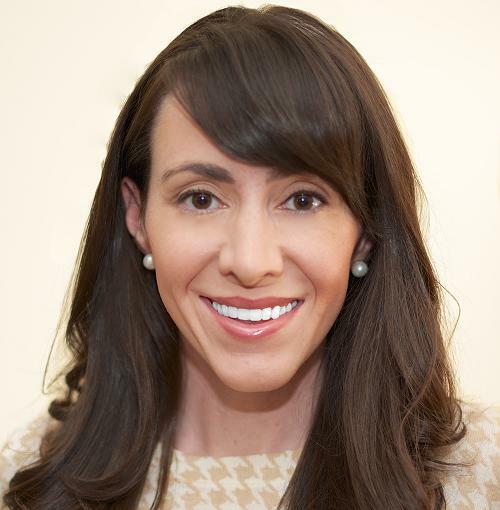 Denny says Seyfried encouraged her to pursue a career in neuroscience, telling her that she had a gut instinct for asking interesting and important questions. She also clearly has an instinct for hard work, publishing seven scientific papers as an undergraduate! Both of these traits will serve her well as she takes on what, with our nation’s aging population, has to be one of the highest risk, highest reward research problems of our time. Personally, I think this emotion–fear–is not encoded by such specialized cell, maybe such cell is only one part of the whole circle which makes the mice to have the behavior thought as fear. Actually, I don’t think you should use such word “fear” on mice, it is just kind of behavior for mice, this word is for ourselves–human, it will easily induce misconception. As for light, as a kind of energy, it surely has some consequence when you use it to brain tissue.